Teams with trainer/husband and Manager still strong. They say love matches are made in heaven, and fight matches are made by one’s manager, and boxer Eileen Olszewski may have both, married to her trainer/husband, and inking a three year contract with her longtime manager David Selwyn. Olszewski hopes to reach the big “Hawaii 50”, eclipsing the mark of the "Old Mongoose", Archie Moore, (who actually fought till age 47) but I would not dare to ask a woman her age. Born Eileen Miyoko Kuwaye in Honolulu Hawaii in 1968, Olszewski went into boxing after years of ballet, New York Knicks dancer and studying the martial arts, then at age 32 teaming up with trainer and future husband Matthew Olszewski, winning three national Golden Gloves and three NYC Golden Gloves before turning professional in 2006. The team was completed when Selwyn agreed to take over her career. “I saw her first fight and was impressed” says Selwyn, who had never managed a fighter at the time. Since then Selwyn has managed eight fighters but remains with his first, a bond that has never been broken. Eileen, along with contemporary Alicia Ashley are the veterans of a woman’s fight culture that has been around, should I say, almost as long as they have. Don’t call them the deans of female boxing, since both are still active and very well seeing the ongoing evolutionary step of the female gender, its fistic footprint engineered to another level since the early days of Jackie Tonawanda and Cathy “Cat” Davis. Eileen still has a burning desire to box competitively in her mid -forties. She can fool you, like she did skeptics, into believing she is in her early thirties. Then again, the bond and team created have kept the pilot light lit after all these years. 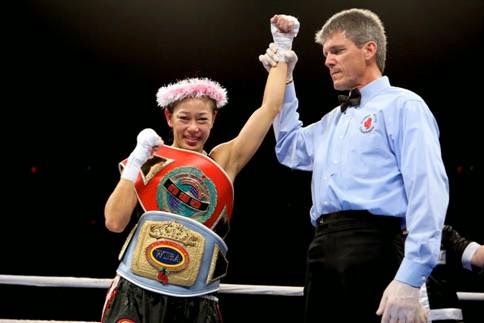 During most of her career, she has been a flyweight champion -- WIBA champion 2008-2011, GBU champion 2010-2013, and since last September, she is the reigning IFBA champion, in fact, she became the oldest flyweight champion ever, male or female, in the history of boxing. "When it comes to details and contracts, David is a savant” added Eileen, "that what makes him a good manager - good for me at least, but not for the promoter trying to get over, especially overseas." Hoping to stay in the gym and box till the great "Hawaii 50" this ageless champ is still competing, and winning, at an elite level. At this time she is scheduled to fight an eight-rounder on Ronson Frank's Uprising Promotions on Sept 6th. Although Eileen has been fighting on the local circuit, this doesn’t rule out a challenge overseas. Selwyn still hopes to get a bout in Europe, places they have fought before. 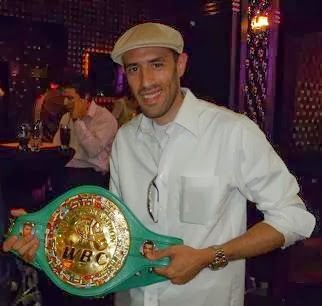 Despite having a modest 9-5-2 record, a closer look at the record of Manager and fighter and what they have accomplished --two PPV events and two Main Events in Italy, also a co-feature on a Felix Sturm bout held in Germany. 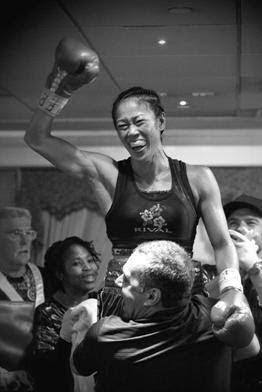 In 2008, Eileen fought four world champion fighters with combined record of 52-4 -- and gained a championship belt in the process. The “Old Mongoose” Archie may be gone, but his spirit must be with the “Hawaiian Mongoose” - still is going strong in 2014.